At Olympia Automall, we have seen just how popular this particular car is as a new car or a pre-owned car. What makes the Jeep Cherokee so sought after? It’s a modern icon which offers a driving experience that is exceptional. It’s beautiful, but can handle itself perfectly too. Now that’s a great combination. Offers a sporty 2.4 MultiAir 2 Engine with 9-speed automatic transmission and torque to be reckoned with. Uconnect 5.0 which includes Bluetooth. 60/40 second row seat split with reclining seat so you can capitalize on comfort and cargo space. Front and rear independent suspensions for better rough road handling. Speed sensitive electronic power steering system for efficiency which automatically adjusts for handling sporty driving or maneuvering in tight spaces. Traction control with five customized settings. Security features which include: parallel and perpendicular park assist, forward collision warning, automatic headlamps, rear parking camera, blind spot monitoring, cross path detection, lane departure warning, 10 airbags with side curtains and thorax airbags and adaptive cruise control. At our used car dealership in Olympia, we have seen these features quite literally take our clients’ breath away – and for good reason. 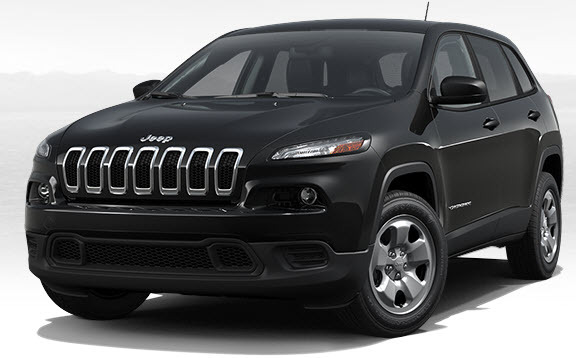 Want to learn more about the 2016 Jeep Cherokee – book a test drive and find out everything you need to know. Get into the driver’s seat of the 2016 Jeep Cherokee 4-door Utility Sport. We stock both new and used vehicle inventory of this model and can also assist you with arranging vehicle finance. Want to learn more about our range of certified pre-owned cars and new cars for sale? Contact us at Olympia Automall or carry out a new car search on our site today.